citizens of greater Houston during its 8th annual Life and Soul Free Health Fair at New Life Plaza in Manvel. 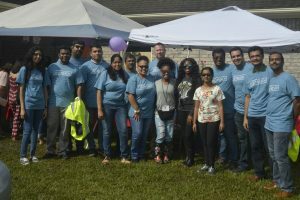 The heath fair was officially kicked off by the Mayors of Pearland and Manvel– Mr. Tom Reid and Mrs. Debra Davison, Representative from Congressman Pete Olson’s office – Mr. John Paul Anders, former Mayor of Manvel – Ms. Delores Martin and Mr. Ramaswamy Subramanian representing Love to Share Foundation America. A Congressional Recognition was presented to Love to Share Foundation for its dedication to serve the community which in turn ensures the community’s well-being and development for years to come. 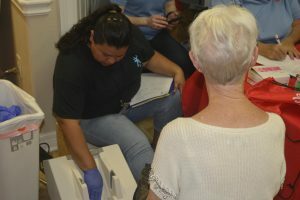 The services offered during Life and Soul included Blood Pressure, BMI, Cholesterol, Blood sugar, Vision, Glaucoma, Fundus screening, Hearing, EKG, Thyroid Ultrasound, Bone Density, Lung Function test, Carotid Doppler, Mammograms for registered uninsured Brazoria County Residents, Flu shots for the uninsured, Helmets for children to prevent head injury, Basic CPR class, Stroke and Diabetes Education. 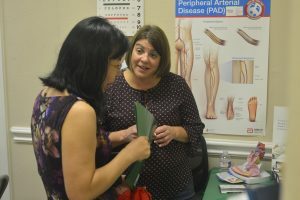 The vendors that offered screenings/services include: HEB, Genesis Hearing Clinic, University of Houston, Alvin Community College – Respiratory Division, Sai Primary Care, Walgreens, Southeast Cardiovascular Associates, Coastal Vascular Center, UTMB, Texas Medical Association – Be Wise Immunize and Texas Medical Association – Hard Hats for Little Heads program, and Indo American Nurses Association of Greater Houston. The sponsors of the event include: Texas Medical Association, Amgen, Ying and Yang Health Care, New York Life Insurance, Walmart and HEB. 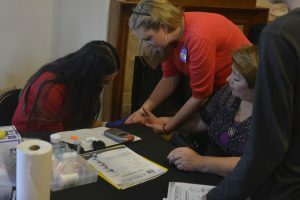 Approximately 50 volunteers paved way for the event to take place in an organized manner; despite the heavy flow of participants, multitude of tests with each participant having individual requirements and parking constraints due to weather Cognizant’s Outreach program brought in 14 volunteers who did a tremendous job of handling online registration, directing patient flow in the testing stations and in parking. 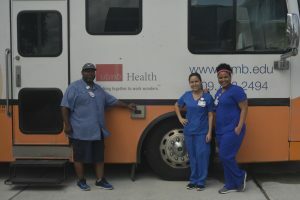 These volunteers tirelessly transported patients to and from the parking lot to New Life Plaza for six hours straight. 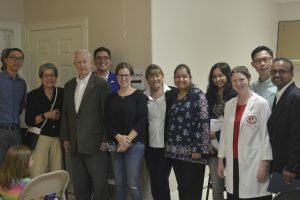 Indo American Nurses Association of Greater Houston (IANAGH) had approximately a dozen nurses that helped out with blood pressure, blood sugar screening and education. 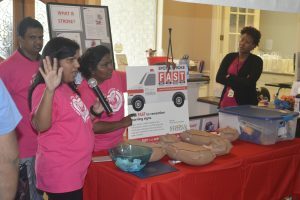 They also conducted basic CPR and Stroke Education Classes. High school and College students from Dulles High School, Clements High School, Shadow Creek High School and University of Houston also volunteered and earned their volunteering hours at the event. Food for vendors and volunteers was sponsored by Olive Garden, Shipley’s Donuts, Chipotles, Papa Johns and Biriyani Express. Overall it was a pleasant day defying all weather forecasts that saw a lot of unconditional service, compassion and gratitude. Love to Share Foundation America continues to make strides in empowering the community through several programs at the grass roots level. In addition to Life and Soul, the other initiatives include – Reality Retreat, Body Mind and Soul, Workshops for professionals and high school students and several cultural collaborations and camps to stage diverse art forms, depicting the universal harmony that is intricately woven across the cultures around the world. In addition to our weekly Body Mind and Soul and Reality Retreat sessions in Houston, Love to Share Foundation’s next major event will be Life and Soul Free Health Fair – Dallas Metropolis that is scheduled for Sept 29th in Garland.